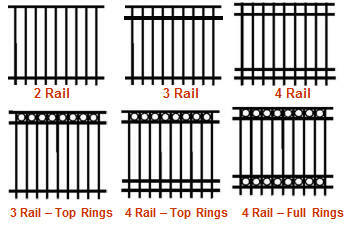 The Westmoreland name has represented longevity, strength and beauty as a pioneer and leading manufacturer of ornamental steel fence and gates for over 40 years. 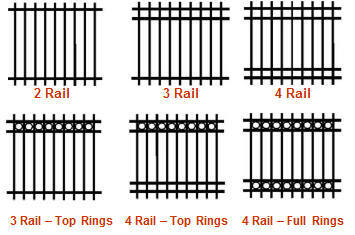 We will continue that tradition with the new Westmoreland II line of tubular steel fence and gates, using a galvanized steel base metal and a baked on polyester powder coat finish. Westmoreland II will continue to manufacture maintenance-free products that will provide a lifetime of beauty and lifetime warranty. Westmoreland II has gates for single swing, double swing or cantilever slide to match your fence style. 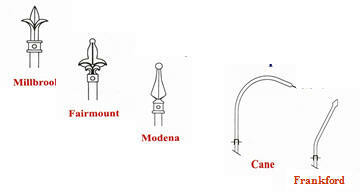 We can also accentuate it with arched tops, decorative rings and finial tops. Our steel swing gates are stronger than aluminum gates. Aluminum is a soft product that will twist and sag over time. 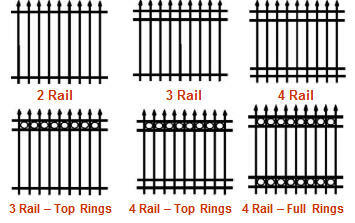 We can customize any gate to meet your needs or creative desires. Below are just a few of the many available styles to choose from.